Liz Phair is back in our hearts once again for the 25th Anniversary of Exile From Guyville and she's playing to a sold-out crowd at Swedish American Hall on Friday, June 1st. So what makes Liz Phair so special? Well, follow me. 1. She's the edgiest fifty-one-year-old if I ever did see. ...And honestly has better style than I do. Chic. 2. She was the 90's "It" Girl. This 10th-year Anniversary is bringing her fans back to life. In 90's, Liz Phair's climb to fame was her self-released audio cassettes under the name Girly Sound, which ultimately led her to sign with the indie record label Matador Records. And well, the rest is herstory. 3. Her intensity was relatable across an entire generation. I feel like everyone was so angry in the 90's. TBD on why. 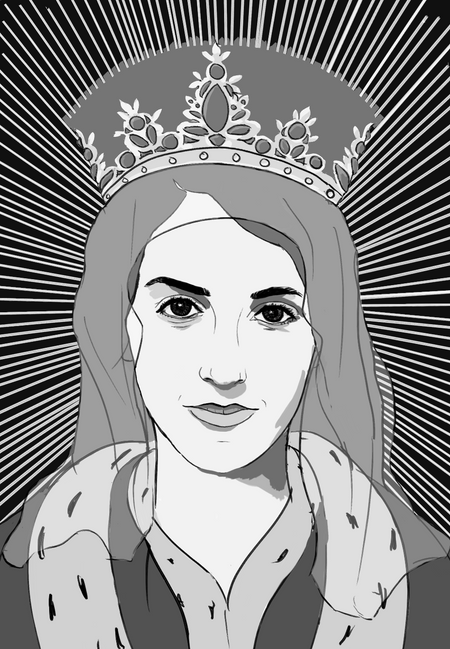 But Liz Phair kind of crowns the angsty vibe. Along with Alanis Morisette. Can't forget that queen. 4. Pitchfork is a BIG fan of her. I don't think I've ever seen Pitchfork give such a high rating before. 10? Love it. Because it's true. Exile in Guyville is a gift that we are all unworthy of. Listen next time you're on a road trip, mad at your boyfriend, or in need of some 90's grunge to compensate for the amount of foul pop in your life. Liz Phair takes apart Divorce Song and explains the process of it all piece by piece. If you don't subscribe to Song Exploder, you might want to now. 6. Liz suggests listening to the Girl-Sound tapes to get through your day. Needless to say, the news can put you down faster than a bully in grade school. Especially when that bully is our president. Anyways, Liz suggests listening to the Girl-Sound tapes to ease the pain. 7. Dude what? She's a catch. Also forgot to wish her a Happy Birthday last month. I feel terrible. 8. Her interview with NY Mag is hilarious. Phair talks about writing Exile in Guyville, her fascination with ancient Egypt and unknowingly running into Harry Styles at the recording studio, thinking he was the new intern. 9. Her videos are truly a gem of the past. We remastered the video for Stratford-On-Guy! Check it out on Youtube (link in bio)! You can't direct videos like this anymore. Or can you? Haven't looked into it, but this quality is so fitting for the 90's, I wouldn't want to replicate. No matter how hard us millennials try. 10. She's an unapologetically a 90's babe. See her at Swedish American Hall on Friday, June 1st! Should be unforgettable night.